As a peer , we look for a site to load very fast even our internet is dead slow. Everyone rate the website basically with the performance “How fast the site is getting loaded” . We have lots and lots of tools to perform performance testing , load testing and stress testing . But there are other possible ways to test our web application online just by giving the URL to be tested .There are millions of online site to test the performance of the web application we develop. 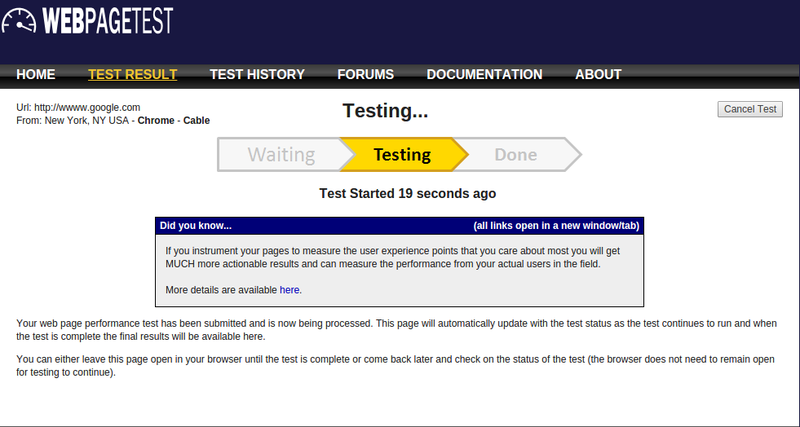 Step 3: You can view the progress of testing , once done with testing it will navigate to log page. Step 4: View the logs , time taken for each files will be getting displayed. The above attached logs can be obtained by testing online. Hope through this we can test the basic performance of the website that we develop. Thank you guys for taking look on this blog.